Environmentally-minded organizations and groups in San Luis Obispo County. Bike SLO improves life in San Luis Obispo County through bicycle advocacy, education, and inspiration. Their Bike Kitchen has parts, tools, and knowledge to fix your bicycle! They have provided guided instruction to over 6,000 people since opening in 2010. Volunteers help bicyclists of all types. Biodiversity First! (BDF!) works to preserve and protect the wild lands and species upon which we depend for our own physical and spiritual survival. This department manages the natural resources – electricity, natural gas, water, and others – that are needed to assure the efficient operations of the Cal Poly campus. Cal Poly is an award winning leader in sustainability because they manage those resources using sustainability as a driving force in campus planning and operations. The California Native Plant Society seeks to increase understanding and appreciation of California’s native plants and to conserve them and their natural habitats through education, science, advocacy, horticulture and land stewardship. The local San Luis Obispo Chapter, CNPS-SLO, was founded in 1967 and is one of 33 chapters statewide. Camp Ocean Pines seeks to foster enjoyment and appreciation of the natural world among people of all ages through creative activities in a residential camp setting. This organization operates as a marine science education center, offering hands-on lessons to schoolchildren K-12 from six counties. Schoolchildren participate in ocean discovery labs and floating marine lab lessons on San Luis Obispo Bay. School groups are educated about the ecology of marine life and aquatic environments. C5 is a group of local stakeholders whose mission is to expand the use of alternative fuel vehicles (AFVs) and fueling infrastructure throughout the Central Coast. C5 is best described as a clearinghouse for people to get together and learn more about AFVs (e.g., what is available, how to purchase AFVs, and where to fuel them). CCCMB works to expand the network of sustainable and enjoyable trails in SLO County and to maintain the trails currently in use. Since 1987, CCCMB has worked with California State Parks, the National Forest Service, San Luis Obispo City and County, and the Land Conservancy of San Luis Obispo County, to design and build new trails and maintain existing ones. Central Coast Green Building Council’s mission is to make sustainable communities available to everyone within this generation. They are the resource for all things having to do with the sustainable built environment including education and advocacy. Central Coast Grown (CCG) builds local and sustainable food systems by connecting our community to the abundance of local food and farming in the County. CCG envisions the infrastructure of a productive food system established locally with the City Farm and the Food System Assessment. They provide resources and local food news through their website. 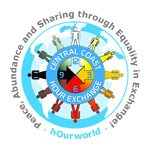 Central Coast Hour Exchange strives to create community one hour at a time. Rather than exchange money for services, they exchange hours of services that range from home care to music lessons. They have over 100 members who have exchanged nearly 7,000 hours. Central Coast State Parks Association supports and funds interpretive and educational programs that promote understanding and conservation of the natural and cultural resources of our local State Parks. Central Coast Vegans attract others, educate about, and support veganism on the Central Coast for the H.E.C.K. of it (Health, Environment, Conscience, and Kindness)! 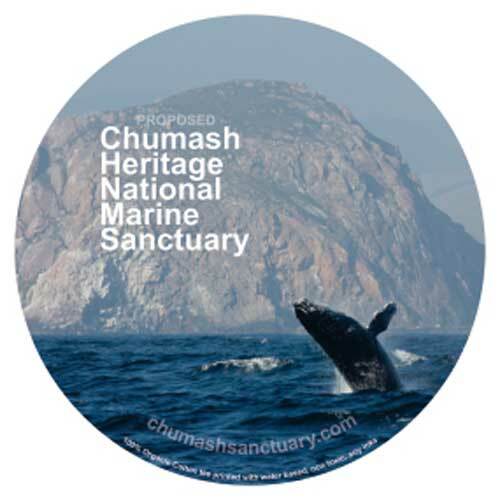 Support the proposed Central Coast Chumash Heritage National Marine Sanctuary. To achieve the best water quality, vibrant marine ecosystems, and to protect Chumash cultural heritage, efforts are focused on filling the unprotected gap between Monterey Bay National Marine Sanctuary and Channel Islands National Marine Sanctuary. This group exists to create the political will for climate solutions by enabling individual breakthroughs in the exercise of personal and political power. This community initiative works to protect San Luis Obispo County’s precious resources. The group plans to successfully qualify and pass an initiative at the November 2018 election which will prevent the drilling of new oil or gas wells and ban fracking on all the unincorporated lands of SLO County. Concerned Citizens for Avila is a group of community-minded people who care deeply about Avila. We are committed to protecting Avila’s natural environment and prioritizing safety and accessibility for residents and visitors. CreekLands (formerly Central Coast Salmon Enhancement) is committed to habitat restoration science and Central Coast watershed stewardship. This non-profit, established in 1999, saved the historic Dana Adobe with restoration and Historic Landmark designation. They engage visitors with the stories of California’s Rancho Era, connecting them with the peoples, the land, and its resources to foster environmental stewardship and cultural understanding. Celebrate Earth Day and learn how to protect and preserve our natural environment. Earth Day Alliance hosts a free annual Earth Day Fair & Music Festival in April. The Earth Day Alliance wants to work with you to educate and motivate actions that will protect the planet. Our mission is to create a resilient and healthy community for the residents of the California Central Coast that is environmentally and economically sustainable. We do this through educational programs that encourage people to convene, collaborate, and act. Since 1971, we educate, advocate and act to protect and enhance the natural environment of San Luis Obispo County. Current programs include: SLO Stewards educational hikes, SLO County Parks volunteer projects, Coastal Cleanup Day, and SLO Green Drinks. Sustainability, inclusivity and diversity. Empower Poly Coalition is a voice and resource for all sustainability minded students and groups on the Cal Poly campus. Friends of Fiscalini Ranch Preserve seek to protect and maintain the Ranch in a natural state compatible with passive recreation, excepting the designated area on the eastern portion that allows active recreation. Greenspace supports the environmental integrity of SLO County’s North Coast by acquiring and preserving local lands, providing community-wide environmental education and advocating for sound public policies that protect our natural resources and ecosystems. Guadalupe Dunes Center promotes conservation and restoration of the Dunes ecosystem through education, research, and cooperative stewardship. The Dunes Center can maximize your visit with docent led walks. The Dunes Center is a must see for anyone traveling the Guadalupe-Nipomo Dunes. We have a variety of educational opportunities in the Center. Since 1984, the Land Conservancy has permanently conserved over 15,200 acres of land. We work with landowners and government agencies to find mutually beneficial solutions to permanently protect lands We ensure that the County has wild natural areas, productive family farms and ranches, clean fresh water, and stunning landscapes forever. Los Padres ForestWatch works to protect the Los Padres National Forest, the Carrizo Plain National Monument, and other public lands along California’s central coast. We combine legal and policy advocacy, scientific collaboration, field work, and education to safeguard these treasured landscapes and the benefits they provide to our local communities. Marine Mammal Center rescues animals along the central coast of California. We began in 1993 with volunteers recruited from Pacific Wildlife Care. In January 2006, San Luis Obispo volunteers moved into the new rescue and triage center in Morro Bay, located behind the former power plant and on that property. The property is shared with Pacific Wildlife Care. The Morro Bay National Estuary Program is a non-regulatory nonprofit organization that works collaboratively to protect and restore the Morro Bay estuary and watershed for people and wildlife. This Society promotes the appreciation, conservation, and restoration of ecosystems focusing on the biological diversity of birds, other wildlife, and their habitats. This non-profit organization has spent decades concerned with the local dangers involving the Diablo Canyon Nuclear Power Plant, and with the dangers of nuclear power, weapons and waste on national and global levels. Additionally, Mothers for Peace works to promote peace and a nuclear-free, carbon-free world. North County Watch is a 501c3 California non-profit committed to balanced and responsible development in and around northern San Luis Obispo County. It works to promote economic and environmental policies that maintain and enhance the uniqueness of our community. One Cool Earth believes that everyone deserves a place to grow. Our EarthGenius program powers healthy, happy, smart youth at SLO County elementary schools by creating awesome school garden programs. We focus on creating real impacts in childhood health, academics, and wellbeing using school gardens. Outside Now is dedicated to connecting children of all ages to the natural world. Through deep nature connection experiences, youth gain respect for themselves, others, and the land. Outside Now has weekly programs Coyote Pups (ages 3-7), Nature Explorers (ages 7-12), Nature Academy (ages 12-19), and summer camps for all ages. Pacific Wildlife Care is San Luis Obispo County’s only licensed rehabilitation center that cares for injured birds, mammals, and reptiles. Pacific Wildlife Care began in 1986 after an oil spill brought oiled pelicans to our beaches. We now have a well-equipped rehabilitation center, a full-time wildlife veterinarian, a small paid staff, and hundreds of volunteers. We are the ECO Rotary for the 5 Cities area. Our mission, beyond the traditional Rotary values, is to focus on our local community and educate people about recycling and improving our environmental footprint. The Sierra Club advocates for sound land use policies and protection of our air, water and habitat, and the transition to a clean energy economy. The Sierra Club’s mission is to explore, enjoy, and protect the wild places of the earth; practice and promote the responsible use of ecosystems; and enlist humanity in the protection and restoration of the natural environment. We endeavor to be a botanical garden that displays and preserves the diverse plant life of mediterranean climate zones. We emphasize horticulture, education, research, sustainable and fire-safe practices, water conservation, children’s gardens of exploration, culinary demonstrations, life celebration gardens, health and nutrition, storytelling, and the arts. SLO Clean Water is a community grassroots organization dedicated to preventing the manufacture and disposal of lethal, toxic and hazardous chemicals in unincorporated areas of San Luis Obispo by unlicensed, unregistered business entities exempted from compliance. The SLO Climate Coalition is a grassroots organization for community members, businesses, nonprofits, and government agencies who want to contribute their expertise, creativity, and passion towards creating a carbon neutral San Luis Obispo and protecting this beautiful place for future generations. This environmental watchdog is dedicated to enforcement of water quality, watershed, and marine protection in Central Coast Counties. Since 2002, EPI has consistently worked for environmental change taking the necessary action to protect the coast and waterways throughout the region. San Luis Obispo County Integrated Waste Management Authority solves your waste and recycling challenges. We are a small group of people with a passion for the environment and keeping it clean. Polystyrene (Styrofoam) doesn’t fit in this vision. We hope that soon San Luis Obispo County becomes the second CA county with an ordinance that includes all retail in the ordinance – that no store can sell it. San Luis Obispo County residents and allies across California call for a just transition away from dirty fossil fuels and towards a clean energy economy. Right now, SLO County is under attack from big oil; from the threat of oil trains to fracking to offshore drilling. We must say NO to the polluting energy of the past and YES to a job-generating, safe, clean energy economy. SLOPOST is a charitable non-profit organization encouraging parks, open space, and trails in SLO County. We work to acquire, develop, and maintain multi-use trails by working with landowners, organizations, government, and the general public. We also work to educate users to maximize their enjoyment and safety on multi-use trails. This organization’s mission is to support the sustainable growth of small food and farm businesses which benefit the local food economy and the health of SLO County. This group provides free, youth-led environmental education programs to 1st and 2nd grade classrooms in public schools throughout SLO County. Their college student-instructors teach children vital concepts in environmental science and sustainability during the earliest stages of educational development. This organization installs rooftop solar PV systems for low-electricity-using homes and nonprofits. Since trained volunteers assist professional Project Leads during installations, systems are installed for about 1/3 lower cost while providing training and experience for those seeking green careers and for those who want to fight climate change one rooftop at a time. The Surfrider Foundation is dedicated to the protection and enjoyment of the world’s ocean, waves, and beaches through a powerful activist network. The SLO County chapter formed in 1993 and actively protects nearly 100 miles of coastline from Point Sal to Ragged Point. The Surfrider Foundation is dedicated to the protection and enjoyment of the world’s ocean, waves, and beaches through a powerful activist network. The Small Wilderness Area Preservation (S.W.A.P.) group preserves some of the most beautiful land in San Luis Obispo County. Founded in 1971, its mission is to preserve small but significant natural areas from urbanization. S.W.A.P’s biggest project is the preservation of the Elfin Forest in Los Osos, a 90 acre site with over 200 species of plant and over 100 species of wildlife. We stand in solidarity to protect women’s rights, human rights, our safety, our health, and our planet, as we move toward a positive and just future. We are actively nonviolent in words and action, and recognize that there is no true peace, freedom, or inclusion without equity for all.